The Boris FX Continuum 11 Stylize Unit is a collection of highly stylized visual effects filters, such as grungy textures, damaged TV looks, scanlines, misalignment, and surreal effects like Colorize Glow and Emboss to give your video a quirky look. Some of the filters also feature a built-in PixelChooser with integrated Mocha planar tracking that allows for greater control over which areas of the image the filter should affect. 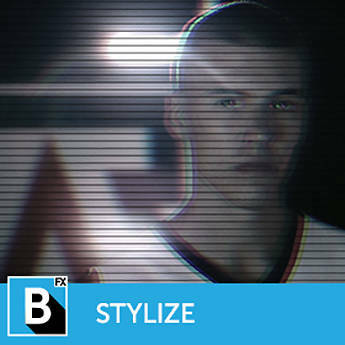 The Stylize Unit is a multi-host plug-in compatible with Adobe, Avid, Resolve, Vegas Pro, and Nuke. It can be used in all host applications at the same time as long as they are on the same computer.